Dell South Africa aims to develop literate and connected communities and to bridge the gap between the “haves” and “haves-not”. Providing quality education is one way in which it strives to bridge this gap. 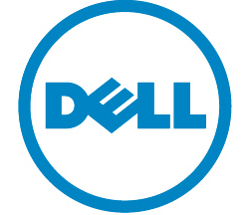 A percentage of every rand spent by a Dell customer goes to the Dell Development Fund (DDF). Over the past few years, the DDF has engaged in bursary programmes with the University of the Western Cape (UWC), the University of Venda, and the Nelson Mandela Metropolitan University (NMMU). This year, again, the DDF will be providing more academically deserving students the opportunity to have a tertiary education at these universities. According to Natasha Reuben, Head of Transformation, Dell South Africa Development Fund: “Graduating students are also offered a one-year internship position with us at Dell. As a team, we pride ourselves on focusing on real transformation within the communities we call home and are proud to be involved with these organisations. We will continue to work to ensure these initiatives deliver real value and real benefits, contributing to sustainable development and economic transformation in South Africa.